Feetheart Valentine’s Cards | Live. Learn. Love. Eat. We are crazy about our hand and footprint crafts around here. The girls love anything involving paint, especially when they get to paint their bodies. 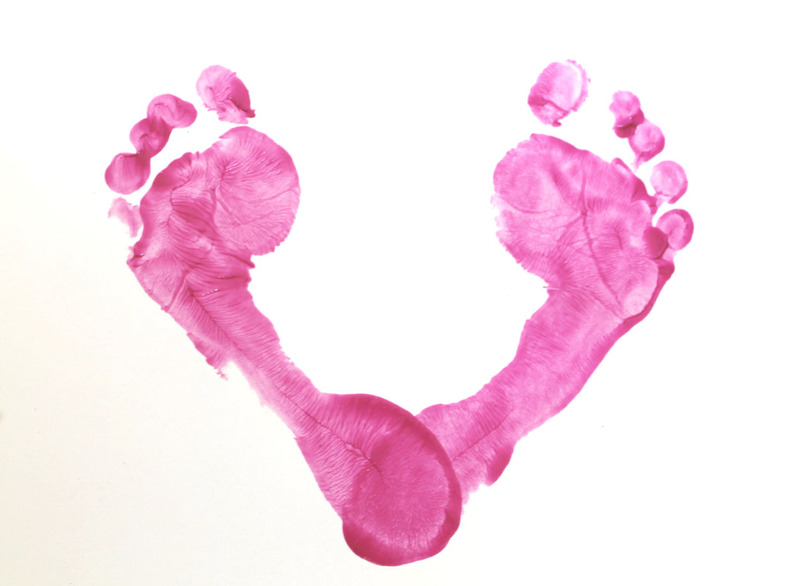 Here is a cute footprint valentine’s card idea to give to your feetheart sweetheart or any one else that you love! 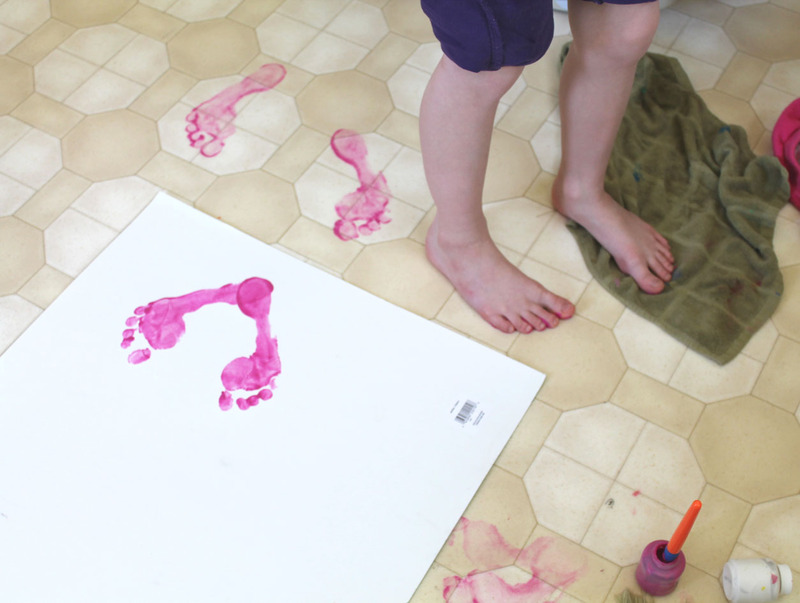 Paint your child’s foot with the red or pink paint. Place their footprint at a slight angle on the poster paper. 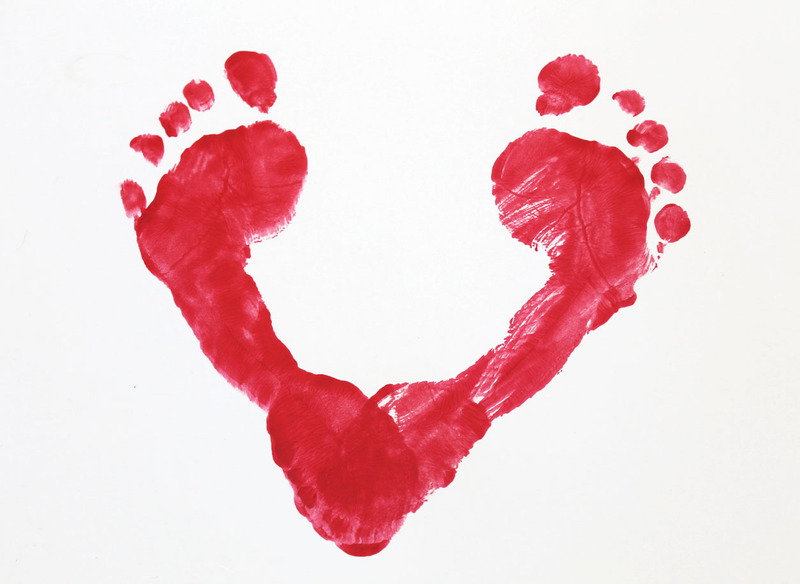 Repeat with the other foot so that the footprints make a heart shape. Sit your child on the counter so that they can wash their painted feet in the kitchen sink. That is probably the most fun part of all! Cut out the footprint heart into a heart shaped card and write your valentine message on the back. I love this but I think my feet our to big to make this for my hubby. Makes miss having little ones. My 2 year old Grand daughter would like this idea, all year long! She loves paints! My daughter is Vegan and raising her daughter as such, she is expecting another one soon. They have three acres in the Catskills of NY and have rescued pigs,goats, and chickens. I enjoy your blog,it’s so good to know how many other families are trying to live in a responsible manner not just for themselves but for the whole Planet!